As the year wanes, the Veils between the Worlds become thin. It is a time for introspection and self-evaluation. It is a time to reconnect with that which has gone before us, to our Ancestors. 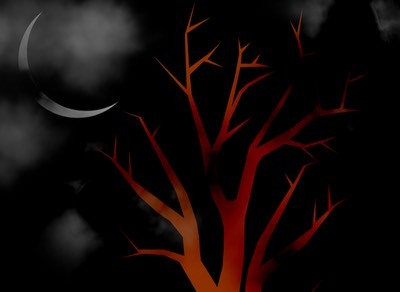 It is the time of Samhain, the Witches New Year, when the gates between the Dead and the Living are open wide, and the voices of the past speak to us. We prepare ourselves to face the end of the Harvests of the Fall and enter once more into the Winter of death and repose. We will give over our land and open the Gate to the Realm of the Ancestors so that they may join us in the Circle. All will then have opportunity for a private audience with the Ancestors, speaking with and listening to them. The ritual outline, background information, and chants are available here. If planning to attend, please take a moment to review the ritual and chants. Directions will be made available when RSVPing. 6:30 p.m. ~ Gather at Herne's Hollow to review outline and chants. 9:00 p.m. ~ Pot Luck Refreshments. Please bring something to share. The Assembly Of The Sacred Wheel, our Tradition, hosts a number of open events each year. Please check their upcoming event page for more information. Ivo Dominguez, Jr. is an Elder of our Tradition. He presents a number of workshops throughout the year for the public. 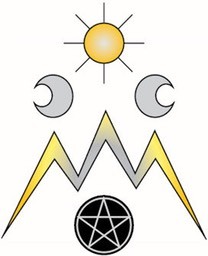 Many of the members of Rowan Star attend these workshops as well, so it can be an excellent opportunity to get to know some of the Coveners while at the same time learning more about Wicca, Magick, and Spirituality. It also gives an chance to see a little deeper into the philosophy behind our Coven. For more information concerning these workshops, please visit Ivo's personal website. Michael G. Smith, former High Priest of Coven of the Rowan Star, is also an Elder of our Tradition, the Assembly of the Sacred Wheel. He presents a number of workshops throughout the year for the public as well as teaching a variety of events. Many of the members of Rowan Star attend these workshops as well, so it can be an excellent opportunity to get to know some of the Coveners. For more information concerning these workshops, please visit Michael's personal website.